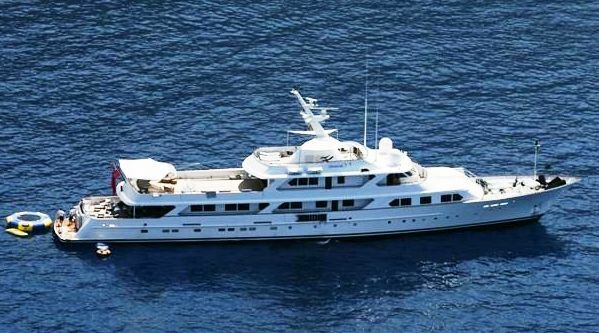 MIRAGE (ex Daria, Elisabeth F, Wedge One, Avante IV) is a 53m (173' 10") 1979 Feadship luxury yacht which has been completely refitted in 2006/2007 by the Pendennis Shipyard in England to the Interior Design of Design Unlimited. MIRAGE offers the tradition and craftsmanship of the famous Feadship yard coupled with the style and functionality of a modern luxury yacht. Ready for charter, MIRAGE's major refit included a stern extension, air-conditioned guest lazarette and day head, a whole new main deck (salon, day head, VIP, and master cabin) and the sky lounge with outdoor cinema. 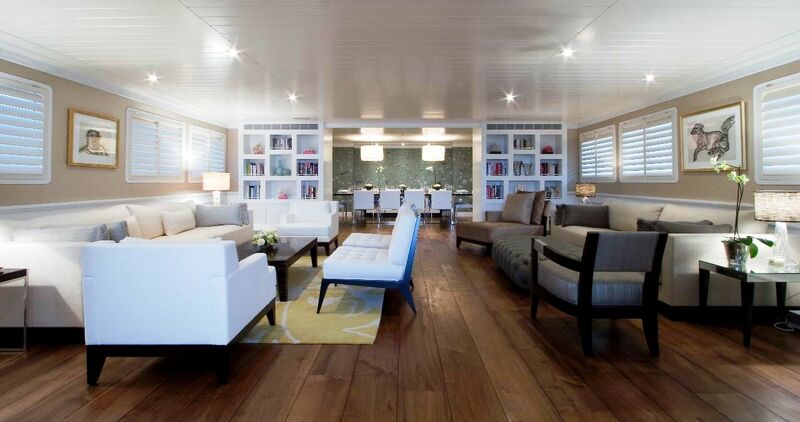 All of the luxury yacht’s guest bathrooms have new fabrics, fillings, floorings, and AV. There are new interior floors on every deck. 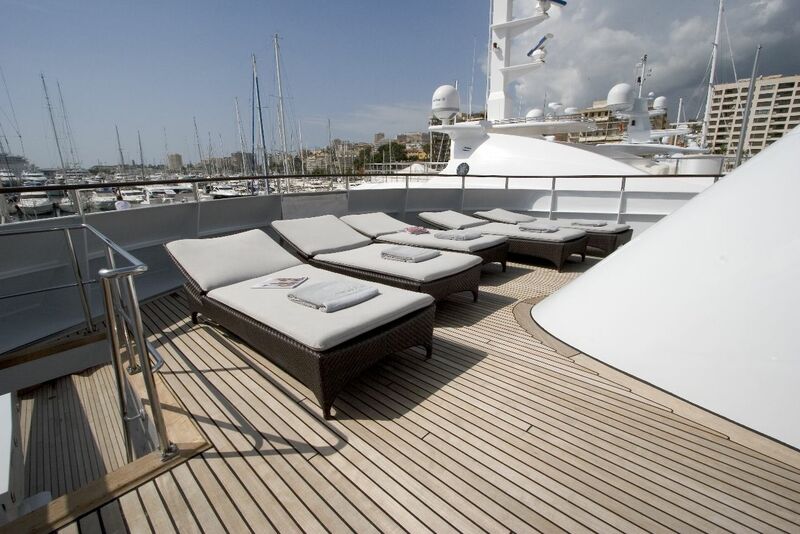 The aft deck has 50% new teak, and the bridge has completely new teak and furnishing. 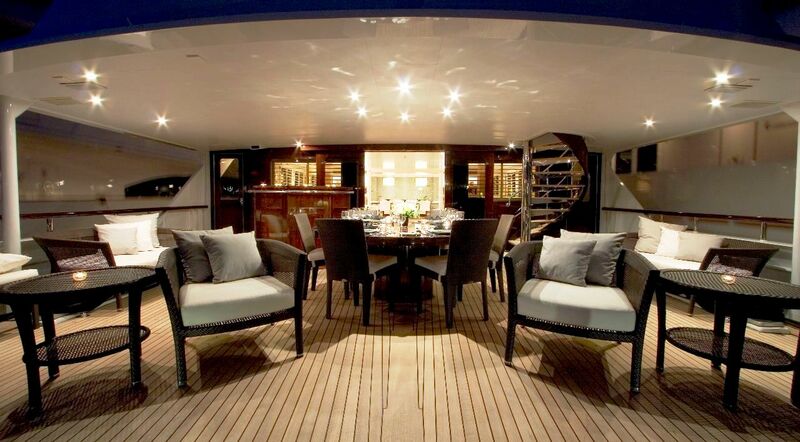 There is also a new bar on the aft deck and a spiral staircase from aft deck to bridge deck. 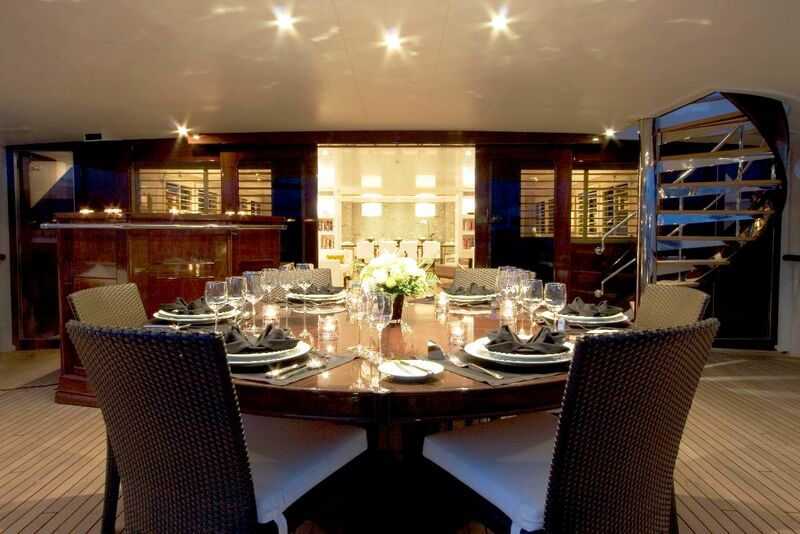 Some of the electronics include VSAT Wi-Fi throughout the yacht, Sonos system, a superb outdoor cinema on sky lounge and a CCTV system throughout. She also enjoyed a complete overall engine and generator refit with acoustic enclosures of the generators. There are a new alarm and monitoring system of the whole yacht. Her hull was completely overhauled with a new paint job of the whole yacht. There are also new deck cranes and new Jet Ski crane on forwarding deck. 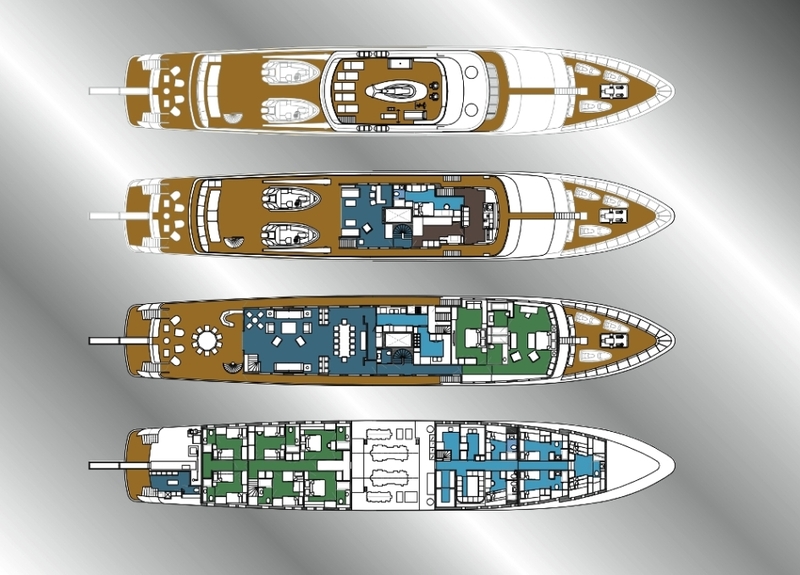 MIRAGE provides 2 King, 2 Double, 4 Single and 4 Pullman bunks. Charter guests are attended by a highly-trained and friendly crew of 15, ready to take care of everything throughout a charter vacation. 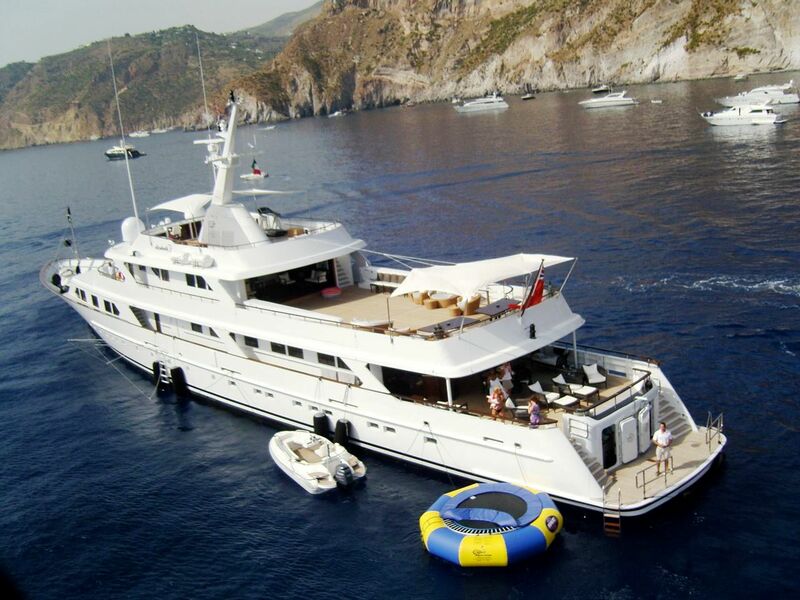 This luxury yacht also includes many water toys, as well as gym equipment on the sun deck. 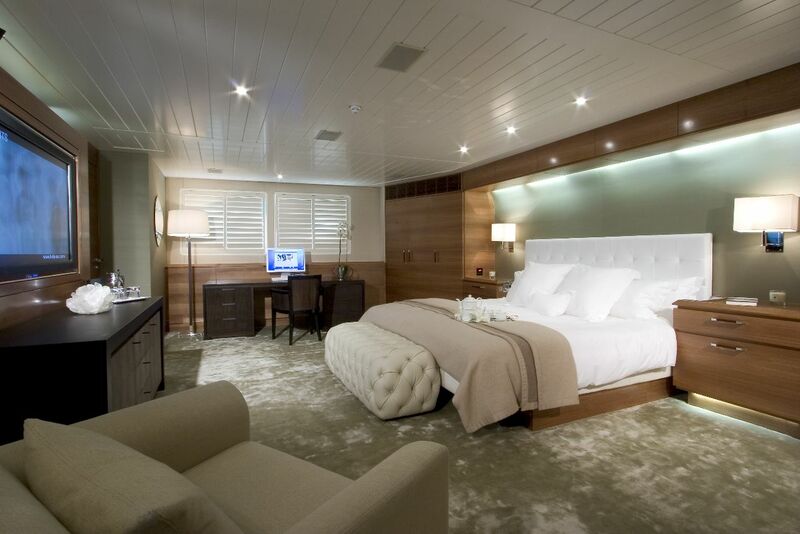 Guest Accommodation for 12 in 7 cabins: Each stateroom has individual climate control and is ensuite. Each stateroom equipped with Sonos system, LCD screen & DVD and with SAT TV in Master and VIP. Main Deck forward. MASTER: KING size bed with ensuite bathroom with shower and bath and 52 inch SAT TV & DVD. VIP: Located just aft of Master with KING size bed with ensuite bathroom (shower) and SAT TV & DVD. 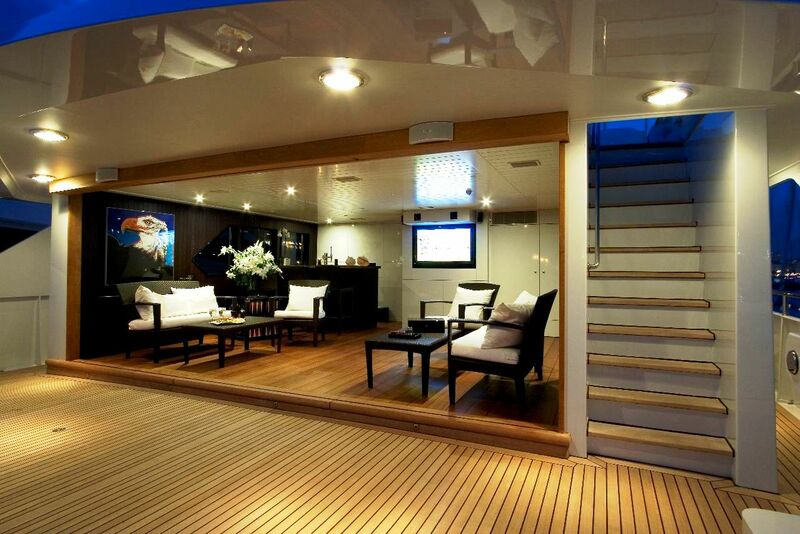 Lower deck. 2 QUEEN with ensuite bathroom (shower) and LCD screen & DVD. 4 TWIN with ensuite bathroom (shower) and LCD screen & DVD with pullmans. Satellite TV in Master, VIP, and Skylounge/Outdoor cinema. Choice of 610 daily newspapers from 76 countries in 36 languages. 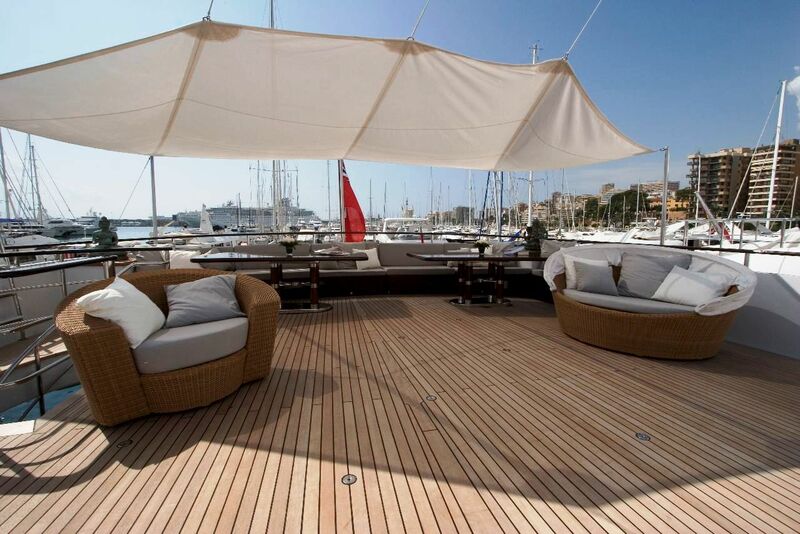 For static charters she can sleep up to 20 guests when safely moored to the quay. 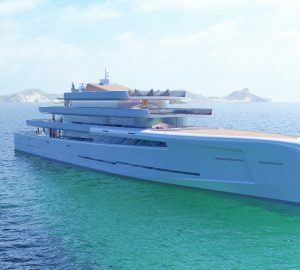 "Whether it’s wiring or plumbing, pipe fitting or painting, finishing or wiring, Feadship has the finest compilation of artists that I could find on my journey of discovery among the superyachts that exist today. It is all the small things that they do, the time they take to do what they do, and the extra effort that they take to make every corner, nook and cranny look great. - Review by the Owner who commissioned yacht ROCK.IT" (hull 687). ELIZABETH F - From astern and above.